As we all know, there are countless benefits from keeping our lifestyles active as we age. Regular exercise increases confidence, reduces stress and disease, helps lose weight and avoid obesity, and so much more. One of the reasons for adults not wanting to exercise is that traditional methods such as weightlifting or cardio are unappealing. I know three sport athletes in high school that stopped exercising once they no longer played competitive sports because they didn’t feel like spending the time to do so when it was no longer required. Why do we feel that we can no longer pursue organized sports just because we’re no longer in high school or college? Studies often attribute this to lack of interest or time, but when we think about how often we watch tv or spend time at the bar with friends, is it really so much to add a weekly sport into our schedule? And lack of interest is often due to lack of initial effort. Once we go for it and push into something we were hesitant about, we often find plenty of interest, and the desire to continue to participate. Now if you know me, you know that I have no problem weightlifting and partaking in calisthenic workouts. I enjoy them, and fitness will always be a part of my life. But I do not enjoy cardio. The idea of running for 20 minutes or doing sprints does not get me excited to workout. However, I was a soccer player growing up, so going to a weekly pick-up game at a local park is a great way for me to get some cardio without hating it. Maybe you don’t want to weight lift or do strength training. That’s fine. But if you care about your body and want to stay healthy, especially if you were a former athlete, get involved in a sport. I can almost guarantee that within 30 minutes from you is a sports complex, park that does pick-up, or league for whatever sport interests you. Obviously, sports improve your physical health. I’m hoping I don’t have to convince you of that. However, apart from physical health, sports give you benefits of discipline, dedication, and positive social interaction. Discipline is an obvious benefit if you talk to parents of children involved in sports. Sports teach kids to follow instruction, work to be a positive part of a team, and work hard to improve their own ability. Adults can benefit from the latter two significantly. We find ourselves as part of a unit, and realize that if we do our best to support the rest of the unit we have more success. I’m sure you can see this helping in your job and other aspects of life. Dedication and commitment also increases with playing in a sport. The desire to be better is something I feel everyone has inside of them. Even if we hate our jobs we want to be good at them to convince others and ourselves of our own competence and intelligence. Sports are no different. It helps give us the drive to improve and to succeed. Finally, having positive social interaction is always a benefit in our lives. We’re spending time with like-minded individuals that are going through the same discipline and dedication that we are, and have a desire to increase their physical health. I’m a huge proponent of having positive people in your life, and sports are a great way to do this. The best example I can give is not of my friend, a 27 year old still at his peak athleticism because he is constantly playing either soccer, basketball, or anything else he can get involved with. The example I want to give is of that guy’s father, who is 52 years old, in amazing physical shape, and just got home from his second national over-50 soccer tournament in Florida. The man has not stopped playing sports in his entire life, regardless of the difficulties faced or time commitments that have made it difficult. At 24 he had a kid, yet he and his wife would play in couple’s beach volleyball tournaments to stay active once a week, while obviously leaving their young child in the capable hands of family members. Throughout his adult life he’s transitioned from volleyball, to hockey, to baseball, and eventually back to his favorite sport growing up, soccer, which he played in college for four years. I’ve known him for over 10 years, and I don’t think there is ever a time when he’s not involved in a soccer league. He also plays in all his college and high school alumni games, and even does a curling league. Remaining in sports has contributed to his quality of life for 40 years. I know that his work life has been hectic over the last year, with some changes to management and difficulties with complicated projects. However, if you asked him about his week, the first thing he will mention every time is soccer. How his games went, what his personal performance was like, and how his body is feeling. 52 years old. No signs of stopping whatsoever. 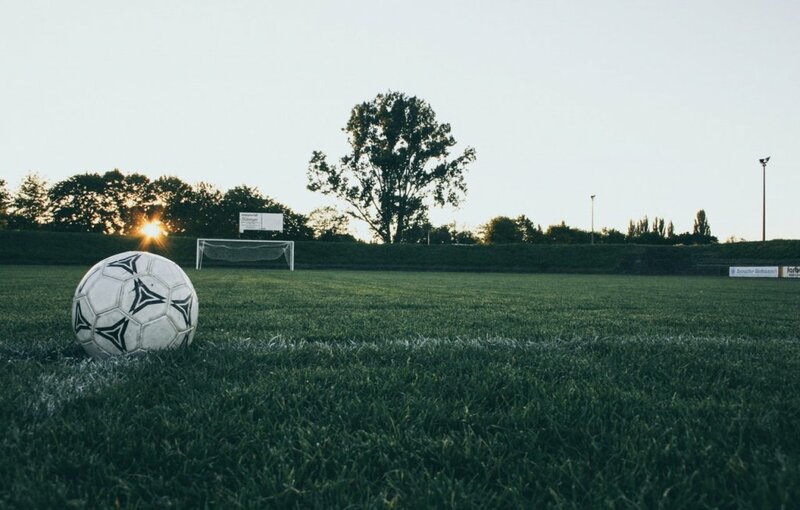 He understand that staying in shape is vital, and soccer a few times a week is an amazing way to increase quality of life by being physically and mentally fit. Look, if you’ve played sports in the past and find that you have drifted away from the activity you once loved, there is no reason why you can’t just jump back in. There are plenty of leagues and pick-up opportunities for all levels. I encourage you to get back into sports, because the benefits from doing so are immense, not just physically, but mentally, socially and emotionally. We get one life and one body on this earth. Why not do things we enjoy and maximize our time here?